This article is a part of our Teen Activist series, in which we dig deep into the stories of young activists who are striving to make the world a better place. 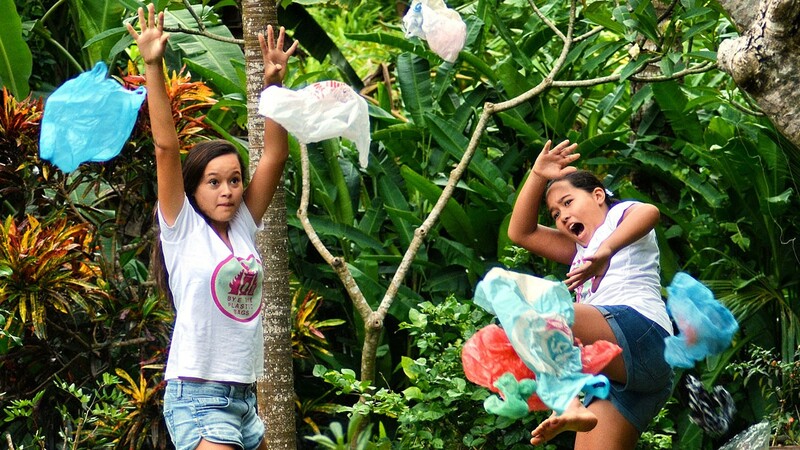 Melati and Isabel Wijsen are two sisters with one goal: ban plastic bags from their native island Bali. After five years of campaigning, they might just get what they’ve been working for. For some people, Bali brings to mind images of a paradise island with beautiful beaches. But for locals, the trash problem is so daunting that the word "paradise" doesn’t quite fit anymore. 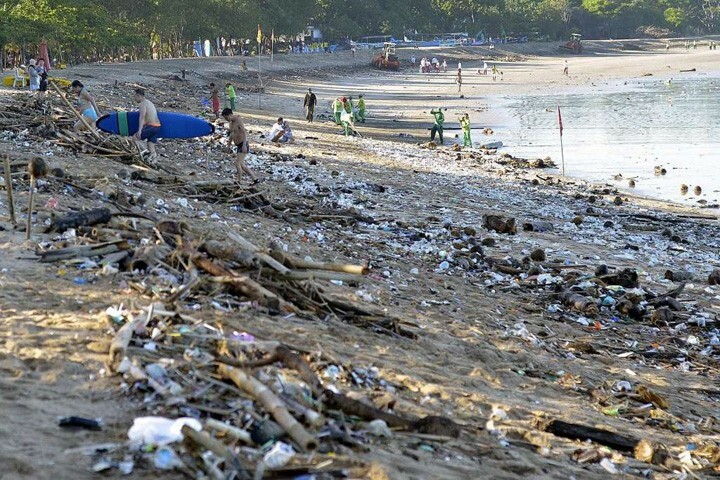 A 2015 report estimates that Indonesia leaks 0.48-1.29 million metric tons of plastics waste into the ocean every year and it is the second largest ocean polluter after China. Melati and Isabel witnessed the waste problem grow exponentially living on the island and decided to do something about it. They started by raising awareness among the locals that this waste phenomenon is man-made, not natural. When Melate was 12 and Isabel was 10 years old, they started the Bye Bye Plastic Bags campaign, with the goal to ban the use, sale, and production of plastic bags all over Indonesia, starting with their home, Bali. The sisters attend the Green School Bali, a private school with an ecological design aiming to empower students to become "green" leaders of the world. Such an education and environment stimulated the girls to take action. " We didn't want to wait until we were older to stand up for what we believe in." 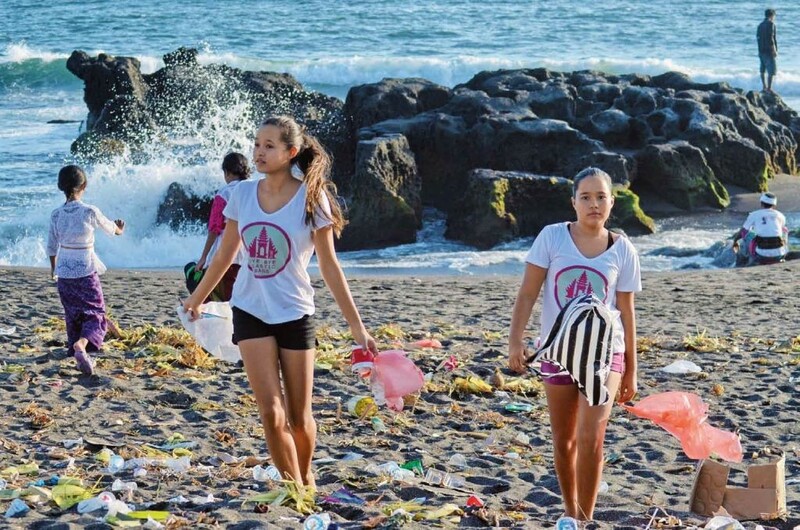 Melate and Isabel throughout the years were involved in numerous local and international initiatives including a TED talk, speaking at the UN World Oceans Day, and organizing the largest beach cleanup in Bali, bringing together 12,000 volunteers. The girls were inspired by historical figures that brought positive change to the world. Following Mahatma Gandhi’s example, they went on a hunger strike to get Bali's governor Mangku Pastika to sign a petition to ban plastic bags by 2018. Luckily, after 24 hours the hunger strike was over as the governor agreed to the conditions of the petition. The year is 2018 and the government did make a promise. How does the situation look now? There seems to be confusion about which level of government, local or national, should act first. As national governments appear reluctant to enforce the ban, local governments struggle as well. Nevertheless, these conversations are finally happening in Bali and Indonesia and partially because the girls are so persistent. If an absolute ban is not in place by the end of the year, there is at least pressure for it to happen soon. There are not many teenagers today that would starve themselves for the planet. While there are many obstacles left to go, who knows, perhaps by the end of this year, we won’t be able to bring in plastic into the island.